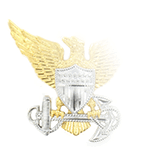 While all divisions of the U.S. Armed Forces award Good Conduct medals, the Marine Corps's version was the second established back in 1896, following the Navy in 1869. 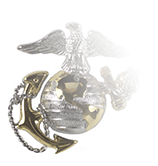 In precedence it comes between the Prisoner of War medal and the Selected Marine Corps Reserve medal. 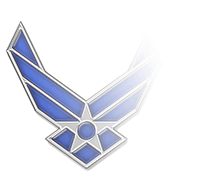 "Good conduct" in this case includes obedience, sobriety, military proficiency, neatness, and intelligence, all during a three-year period of continuous active service. The recipient can have only one prejudicial punishment in that time and no convictions by court-martial. The medal can be awarded to a Marine who is missing in action or has died in combat; those who have left the service due to combat wounds are also eligible. In times of war, the medal can be given for a single year of service. The Good Conduct medal was designed by the ninth Commandant of the Marine Corps, Major General Charles Heywood. It's a bronze medallion with a border formed by a large anchor and chain. In the center is a 19th-century era Marine holding the lanyard of a Navy rifle. 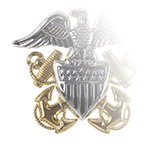 The Marine motto "Semper Fidelis" ("Always Faithful") is inscribed on a scroll beneath the Marine and "United States Marine Corps" is inscribed between the anchor chain and the Marine. On the back is the raised inscription "Fidelity," "Zeal," "Obedience" with a place in the center for the recipient's name. The medal hangs from a stylized rifle instead of a plain bar; the ribbon is dark red with a dark blue stripe down the center. 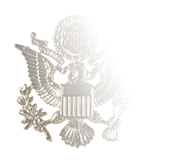 Subsequent awards are denoted by bronze stars; silver stars replace five bronze stars.